Or The Bull Kills You introduces Chief Inspector Max Cámara of the Spanish national police force and is the first novel from Jason Webster, after his four acclaimed non-fiction books, Duende, centred on flamenco, Andalus, on the Moorish history of Spain, Guerra, the after-effects of the Civil War, and Sacred Sierra, about the year he and his wife spent farming on the slopes of the Penyagolosa mountain. A reviewer for the Independent described Jason Webster as a ‘hugely readable interpreter of Spain’. 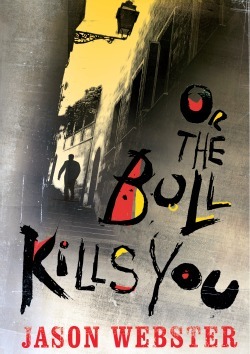 Or The Bull Kills You is a brilliant and unforgettable thriller set in Valencia and continues his exploration of the soul of Spain by tackling the controversial subject of bullfighting and the passions it arouses. I hope that Cámara’s first case is very far from his last. Viva España! Viva Max Cámara! Each of your four non-fiction books presents a different aspect of what makes the Spain of today, and you have now used your deep insight into the country to reveal a fifth aspect, bullfighting, which results in a breathtaking background for a tense thriller. What made you turn to fiction? It felt like the right thing to do. I think of myself a story-teller, so in many ways there wasn’t such a big difference with what I was writing before: even in non-fiction you have to think about narrative structure, character, over-arching themes, pace, etc. But I wanted to continue my exploration and discovery of Spain, and thought that by doing so through fiction new opportunities and doorways might be opened to me. For one thing, it’s easier to express several points of view, often at the same time, in a novel. Different characters can reflect aspects of yourself, or people you’ve met. Also, I think that fiction reflects more closely our experience of the world than ‘non-fiction’. Feelings and fragmented perceptions are later turned into a narrative or given meaning through our imaginations. In non-fiction that truth is becoming harder to express. Your Oxford degree is in Arabic and Islamic history. Was that choice because you were already deeply interested in Spain and its history, and did that then lead you to settle in Spain? It’s a chicken-and-egg thing. I had a life-changing experience when I saw some images of the Alhambra for the first time when I was about fourteen. I’d never seen anything so beautiful, and immediately wanted to know more about the Moorish civilisation that had been capable of creating something so magnificent and sublime. That in turn led me to study Arabic. But when I finished my degree I decided that rather than going to the Middle East, I wanted to come to Spain. I fell in love with the country as soon as I arrived, and have been here pretty much ever since. I admired the way that Cámara is in the anti-bullfighting camp and yet during the novel he is driven to explore its attraction and symbolism for the Spanish. Is this conflict something that has always interested you? There’s an obvious moral problem with bullfighting. Yet many writers and thinkers, including Federico García Lorca and Ernest Hemingway, have commented on its centrality to Spanish culture. The philosopher Ortega y Gasset went as far as to say you couldn’t understand Spanish history without knowing something about bullfighting. It’s often referred to as the ‘national fiesta’, as though it represented some essence of the country itself. So this tension interested me, and I wanted to place it at the heart of the novel. Cámara is like the majority of Spaniards in that he has no time for bullfighting, yet he has to investigate the murder of the country’s top matador – someone he considers to be little better than a murderer. How does he deal with that? How does someone who hates bullfighting learn about it in order to solve the crime? What questions about himself does it throw up? These questions fascinated me. This is your first novel and yet it shows complete mastery of fictional technique. Novels are famously 10 per cent creativity and 90 per cent sheer slog. Is it a form of writing that you took to naturally or did you have to work at the techniques? In many ways it felt like a natural progression, for the reasons we mentioned above. But clearly with crime fiction there are certain rules and norms of the genre that you have to adhere to. I imagine it’s a bit like writing certain kinds of poetry – sonnets, for example – where you have a set structure to follow. But then once inside the form you can play around with it a little. As a writer, that tension was quite stimulating – the constraints of a detective novel working in conjunction with the flights of my imagination. And I’ve come to think of writing crime fiction as a bit like the work of a magician: there are two aspects to it – what people, or readers, can see, and then the sleight-of-hand, what’s kept from view. Both have to be worked out in detail before I can sit down to start writing. I read the novel before checking the series history. Cámara came across so naturally and with his private life so integrated that I assumed that there had been several predecessors in his case histories. Had you been living with him for a long time before writing up his first? Did you plan him as a character or did he plan himself? I deliberately planned his character as little as possible. The plotting process for the book is quite cerebral – a crime story has to be pretty water-tight. But in my experience character works better if it’s instinctive – shooting from the hip, as it were. I wanted to let Camara grow or appear in front of me, rather than forcing him, or shaping him too much. Only certain details, such as a particularly painful episode in his past, when he was a boy, had to be fleshed out in my mind first. And I wanted him to be an outsider in Valencia – not a local. So like many policemen here he’s from Albacete – a city about 150 miles south-west, in the plains of Cervantes’s La Mancha. In Spain regional differences are so big it feels less like a country and more like a mini sub-continent, so that was important. Cámara is not Valencian and never will be. As with the bullfighting sequences and descriptions, the police procedures and the clashes between the various police forces came across very smoothly. Did you go with the police on any of their cases to get such a good flavour of what their routes and procedures are like? Two members of the national police force – the one Cámara belongs to – helped me to get a handle on the everyday procedures of someone working in homicides. Simply hanging out with them, being taken around the city’s police headquarters (in the middle of the night, which was a curious experience) helped enormously. Then I have a friend here who’s a high court judge, and he was able to fill me in on the more legal side of things. One outstanding quality of this novel is the way that through Cámara the reader is immersed into the life of a modern Spanish city, where the sunshine has a hard edge. You live in the city but also in the remote mountains. Is there a softer feel to Spain there, or can the hard edge still be felt? Will Cámara ever travel there? I’m not sure if it’s softer in the mountains. In many ways I was drawn to life away from the city because I was looking for a more anarchic spirit to the country that was everywhere when I first arrived, in the early nineties. Spain then was at the tail-end of the party that broke out once Franco died and democracy had been established. That healthy craziness has all but disappeared now as the place becomes more ‘European’ and homogenised with its northern neighbours. But the Spain I know has always been ‘edgy’. Weird things happen here on an everyday basis that would be unthinkable in many other countries. For example, I’ve just learnt that a bunch of parcels and letters has gone missing because our postman has been dealing cocaine and went off the rails a bit (he’s been fired now). When I tell people who haven’t lived in Spain this kind of thing they often assume I’m making it up. What drew you to crime fiction as opposed to other fictional genres? I’m attracted to the character of a detective or investigator. I see him or her as a seeker-after-truth, someone trying to puzzle their way through a chaotic mess in order to give it meaning or discern a pattern – and not always succeeding. And I think this chimes very closely with our own experience of simply being human, wondering what ‘it’ is all about. There’s always some kind of quest structure to the crime story, almost like a traditional folk tale or legend, and I think that resonates with us on some deep level. Then the noir genre allows you to explore facets of life that are usually ignored. I’m not just thinking of violence or criminal activity – the ‘dark side’ of human experience. With noir you can also delve into a non-rational world, where not everything makes sense – or even has to. You’re given free rein to explore the 90 per cent of the iceberg that’s hidden from view. You quote a Spanish proverb in the preliminary pages of the novel: the wisest of men knows that he knows not. Do you feel that about Spain? That there is something that still eludes you? Yes, absolutely. It’s one of those things where the more you know, the more you realise you still have to learn. I’m interested in the difference between what a person knows and his perception of that knowledge; they rarely correlate. With every day that I live in Spain my knowledge of it is logically increasing. Yet how much I feel that I know can go up and down. Sometimes you think you’re beginning to get a handle on it all, when something pops up out of the blue and challenges all your assumptions. That’s great – and very stimulating for someone writing about the country, because it pushes you on to keep exploring, keep searching and asking questions. There are many excellent thrillers set in fascinating parts of the world, but in this novel it seems to me that there is an extra element. Valencia isn’t just the background setting, but almost seems part of the plot and with its music, smells, passions and violence makes Cámara what he is. The novel would not work anywhere other than in Spain, and not simply because of its bullfighting theme. Was summoning up the soul of the city in this way part of your planning or did it come about during the writing of the novel? Yes, but in the same way as with Cámara’s character, I wanted it to be instinctive over the course of the writing. I’ve been living in Valencia for about ten years, but had previously never written a word about it; I wanted to let it soak into me over a long period first. And that’s partly because it isn’t an easy city to sum up. For a long time it was ignored both by Spaniards and foreigners, despite being Spain’s third largest city, and having played an important role in the country’s history. But Valencia has a habit of choosing the wrong side in any civil war, including the last one in the 1930s, so suffered from neglect for a long time. Forty years ago the critic Kenneth Tynan described it as ‘the world capital of anti-tourism’ for all its drabness and dirt. It’s changed enormously now, and is a real Mediterranean jewel. But there are deep divisions here in society, and problems that are often swept under the carpet. A Valencian likes nothing better that to have a drink, a party and a big plate of paella to tuck into, even (or perhaps especially) if the world is crumbling around him. Where is Cámara’s next case and when? 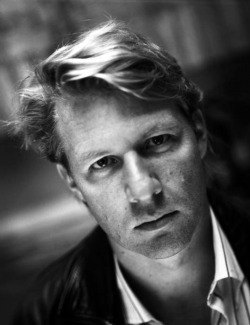 The second book in the series is called Some Other Body and will be published by Chatto & Windus in February 2012. It’s set in Valencia again and involves a murdered paella chef, a kidnapped abortionist, and a visit to the city by the Pope. And plenty more personal issues for Cámara to work out over the course of the investigation. Thank you very much for answering my questions, and many congratulations on Or The Bull Kills You. Read Amy’s review of the book.